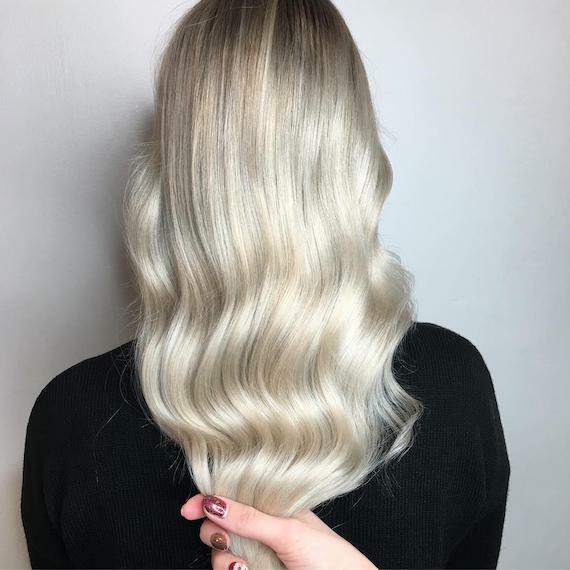 At a time when rose brown, pumpkin spice and high-shine copper are the hair color trends du jour, it takes a seriously dreamy blonde to shake clients out of autumn’s ‘go warmer’ mood. So, what’s the go-to light hue this season? 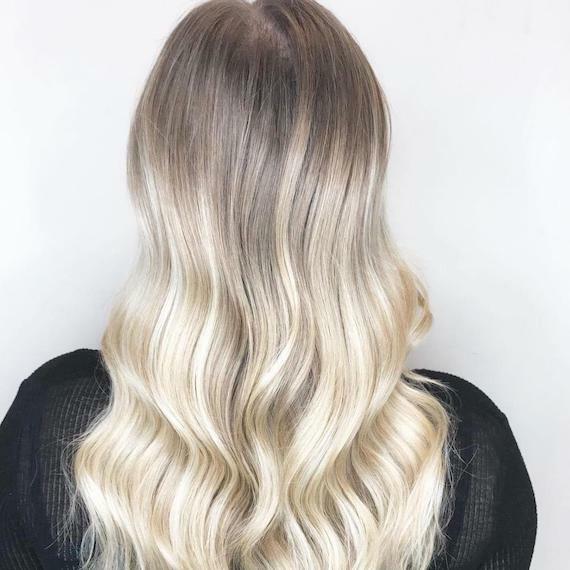 Right now, Instagrammers are looking to ‘toasted coconut hair’, a new technique that offers up luminosity with a low-maintenance edge. Here’s the deal: toasted coconut hair is all about dark roots that seamlessly graduate into pale, blonde lengths. The goal is a smooth root-to-tip transition with no clear color line, much like the ombre look. 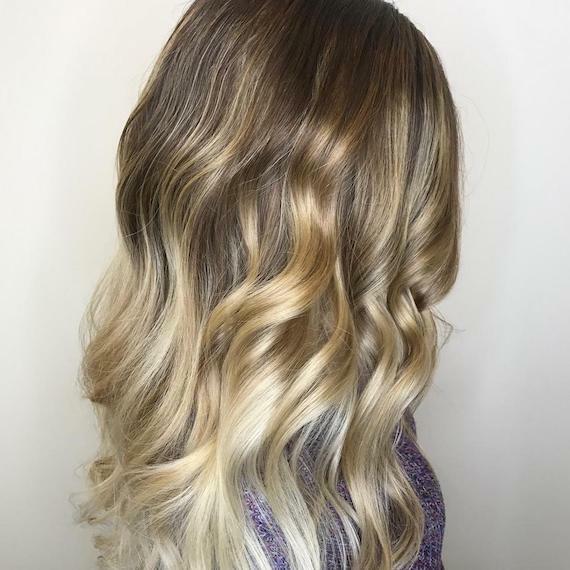 It’s the perfect trend for wannabe blondes who are naturally brunette, as they’ll already have the root shading in place, which results in a more authentic-looking color melt. And, while dark hair will require plenty of Blondor and toning to reach a cool blonde hue, there are two failsafe formulas that help to reduce the damage in your clients’ hair. 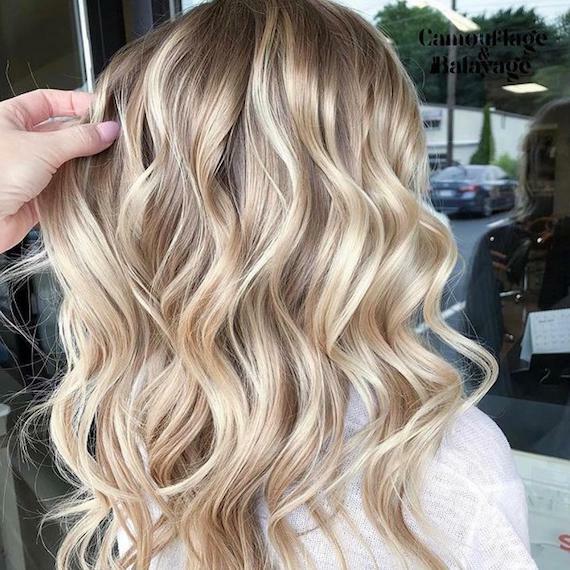 First, make sure you add WellaPlex to the formula during your client’s lightening session, as it will help to strengthen the hair bonds throughout the coloring and bleaching process. Then, use new Koleston Perfect ME+ to achieve the desired shade of blonde. It’s formulated with Pure Balance Technology to offer pure, even results and less damage, color after color*. Born-with-it blondes can get the look, too, but it’s a pretty lengthy process. Step one requires coloring their naturally-light locks a dark brown shade in order to achieve a root-y finish. Use Illumina Color for this step, as it works with the high and low tones in the hair, giving a more natural, sheer color result that won’t look artificial. Then, lighten and tone the mid-lengths back to a pale blonde shade (again, with Illumina), ensuring the dark and light tones seamlessly melt together for a ‘grown-out’ effect. As for how root-y you go, that part is entirely up to your client. Some will only want an inch or two of shadow on show, while others may be looking for a statement-making root stretch. Either way, ensure they keep their light-hued lengths looking luminous. Our suggestion? Washing with INVIGO Cool Blonde Color Refreshing Shampoo and Conditioner to maintain the brightness of toasted coconut locks… until the next blonde trend comes along, that is. For more hair color tips and inspiration, check out the @WellaHair Instagram. You could even get featured if you tag your own incredible creations with #WellaHair #AskForWella. * Versus previous Koleston Perfect. Valid for Koleston Perfect with Pure Balance Technology.